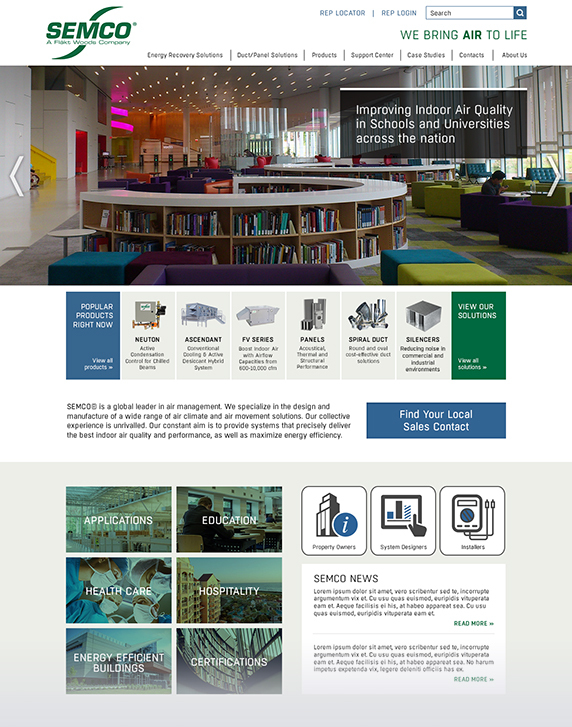 Since 1963, SEMCO has pioneered products and services that improve indoor environments. Today, they are a worldwide innovator of desiccant-based products and systems able to recover energy, increase ventilation, and control humidity. SEMCO is also among the world's largest fabricators of energy-efficient spiral pipe and fittings, acoustical enclosures, and sound attenuators, all manufactured in America. SEMCO® has been systematically updating their marketing brochures and with the new marketing director Steve Ulm coming on board, a new website was on his priority to-do-list. They wanted a new website which incorporated the branding that Fläkt Woods Group, its parent company, had established and to highlight all of their high-quality, energy efficient products. SEMCO has a right to boast this year too, since they have won two AHR Innovation awards - one for the ASCENDANT, a conventional cooling, active desiccant hybrid system, and the second for the NEUTON, the industry's first and only, smart, plug-and-play, proactive condensation control device for active chilled beams. 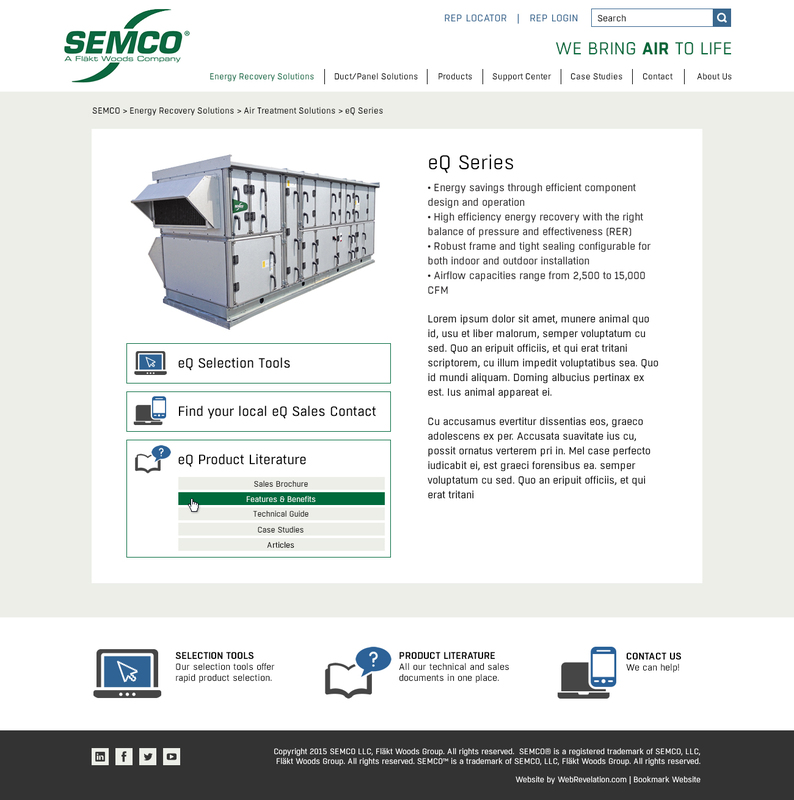 The SEMCO HVAC product detail page includes areas of functionality to provide their customers access to all available resources. Whether it is software, product literature, or finding a local representative that sells the product, each product detail page provides linkable areas where SEMCO can add, edit, upload, and remove information at their discretion. I would personally be more than happy to recommend you and your company to anyone who is working on a new or update to a current website. Your abilities go way beyond the norm and it shows in the products you produce.